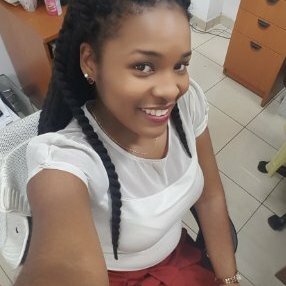 For the second time this year, Ms Osanne Francis, a young Grenadian female, has topped the Caribbean in her exams with the Association of Charter Certified Accountants (ACCA). Earlier this year, Ms Francis was named the most outstanding performer in the Caribbean in the P1 Exam which tested on Governance, Risk and Ethics. In September she proved to the ACCA and the rest of the Caribbean that she could do it once again. In the P2 Exam, Ms Francis received acknowledgement for the ACCA on her successes. This exam tested students on how to apply knowledge, skills and exercise professional judgement in the application and evaluation of Financial Reporting Principles. Ms Francis, who is currently works as an Accountant at Spice Isle Imaging Centre, said she was not expecting it this time, as she faced the challenge of balancing work and school. However, she managed to successfully, and undoubtedly “pulled through with determination.” She said she was committed to doing her exams, and she pushed herself forward. After this achievement, she is on the path she always wanted to be on. Ms Francis said she has one more exam, which she will sit in March 2017, after which would become an Affiliate and a Certified Chartered Accountant.